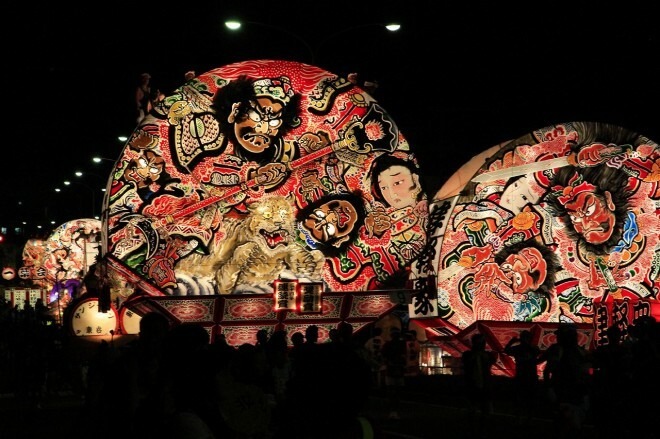 Parade around heroic glorious Neputa, castle town Hirosaki. 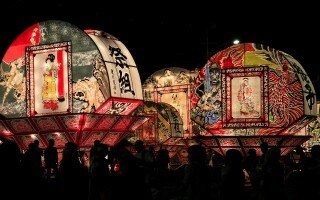 Hirosaki Neputa Festival is held from August 1st to 7th of every year, in which Ougi (fan) Neputa, with historical paintings and warrior paintings parade through the city. 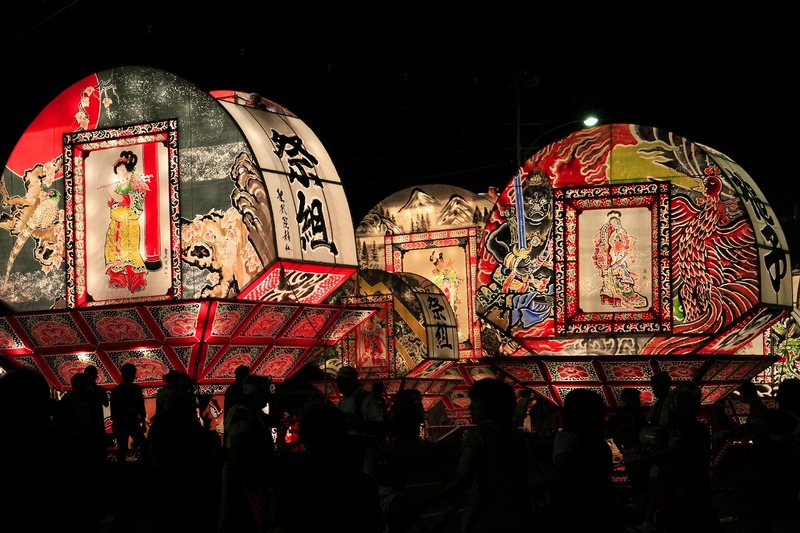 Here in Hirosaki has short summer (because of it located north of Japan) so that this festival marked the beginning of full-blown　summer in Aomori. 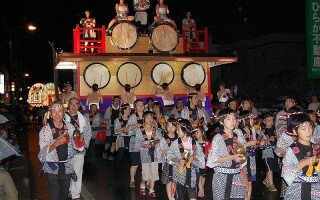 More than 50 large and small Neputa parades in the city with　flutes and drums and wore gorgeous clothes people. 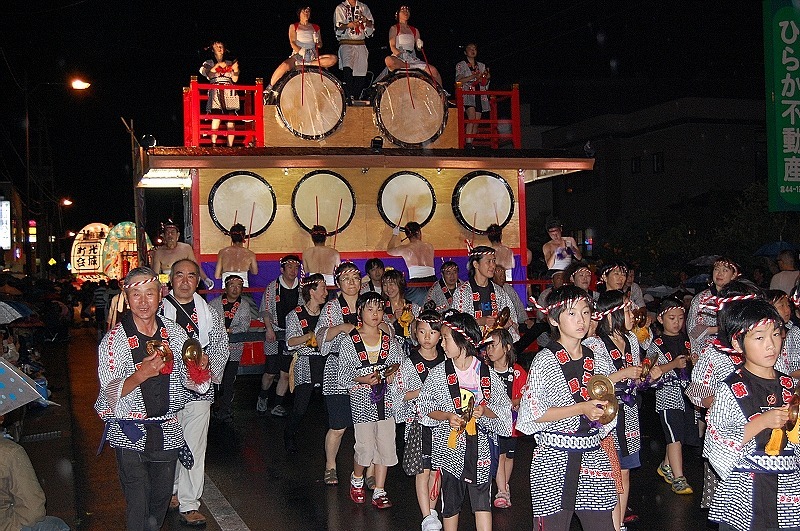 To Dotemachi : 10minutes walk from JR Hirosaki Station.